The vast majority of people, especially ladies, love fresh flowers and how they are presented makes a difference. The florist you select will usually play a major role in setting the tone for your occasion. Be it for Mother’s day, Valentine’s Day, wedding or any other occasions, to make sure all of these blooms are beautiful and exquisitely packaged, picking the right florist is crucial. Do not know who you can turn to for your floral arrangements? Here’s a list of Top 10 to help you decide. 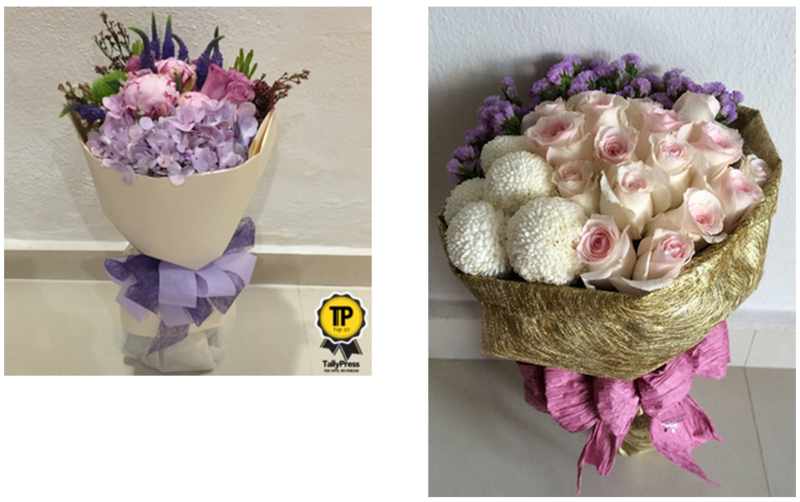 Based in the heart of Penang, Petals & Leafz specialise in flower designing for all occasions. The founder, inspired and driven by the love for craft, channels her passion into flower designing and aims to give her thoughts and efforts to every occasion to ensure the outcome brings a smile to customer’s face. While customer satisfaction is Petals & Leafz’ prime concern, their promise is to always surpass clients’ expectation. Just like its name suggests, Warm Wishes Florist hopes to send warm and well wishes to you and your loved ones through their beautifully created flowers made by creative hands. At Warm Wishes Florist, you will be able to find chic and customised designs of flower bouquets that will stand out of the crowd to impress. We bet you would agree with us after checking out their social pages filled with tons of floral inspirations. Spring Cottage has been melting the hearts of many with their delicately designed flowers. At Spring Cottage, the team anticipates your every need with attention down to the smallest detail. A brainchild of two sisters, Stephanie and Teri Ling, Spring Cottage has been providing personalised services to clients ranging from individuals to corporate and five-star hoteliers. With a touch of inspiration and passion, Spring Cottage’s forte lies in transforming occasions to memorable moments. BloomThis is about creating moments of happiness. Imagine this. Their bespoke flower boxes filled with handpicked flowers appear right at your doorstep on a routine basis. Within the boxes, there are tons of surprises, as you’ll never know what flowers you will get each week until you unbox them. At BloomThis, the team takes pride in going at great lengths to find the most luxurious flowers and bring them right to you. Life is surely beautiful with BloomThis, no doubt about that. Oprah once said, “To feel like a millionaire, you need only two things. The best sheets you can afford and fresh flowers by your bedside.” The Happy Bunch couldn’t agree more. Happy Bunch was birthed out of the notion that it should be simple to put some happiness in someone’s day. And so according to them, you really shouldn’t need a reason to send flowers. Simply. Awesome. Flowers. We buy their philosophy and nothing makes more sense than buying flowers from the “Happy” bunch of people. Nothing beats receiving a bouquet that is unlike any other from Michelle’s Flowery. They tinker about their floral magic from their nest in Sunway and welcome custom orders for different occasions from anniversaries to birthdays, and more. Specially made for your unique occasions and loved ones, beauty of simplicity is invoked through their lovely combination and design of flowers that are surely to delight you. The KL-based florist demonstrated her carefully crafted floral arrangements on Instagram. Syarina uses her creativity and works wonders with the flowers to create a mix of colourful botanical bouquets for gifts and events. Her creations can range from something simple and elegant, to something completely out of the box. This is more than just the run-of-the-mill florist you would go to when you need a bouquet of roses for your girlfriend or for your mother for Mother’s Day because you just can’t be arsed to think of something more creative. 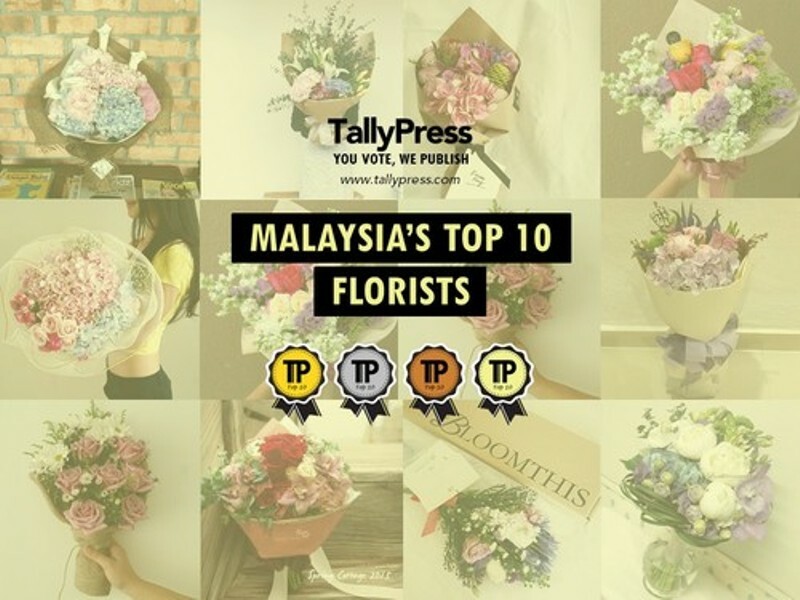 This KL-based florist has got all you need, from creative flower bouquet to wedding and event decoration. We can see countless efforts put in to every single creation of theirs, making every customer happy upon receiving the bouquet made from them. 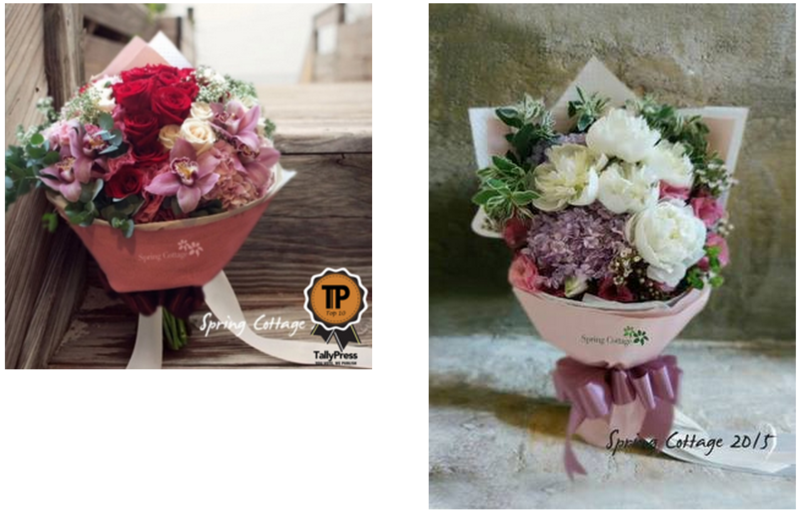 Founded in 2014, the Penang based boutique is a totally Country Style themed flower Couture. They don’t just sell flowers, the owners’ keen eyes for good designs had led to beautiful flower and bridal bouquets, wedding and event decoration as well as silk flower arrangement. A&E does not just stand for “Anarchy & Equality”; it was the combination of a husband and wife team, Aida and Edan, who described their boutique as a “lo-fi floral studio”. Besides conventional flower bouquets and decors for weddings, A&E also custom makes floral headpieces for anyone who would like a little blossom on their special day, as well as personalised miniature terrariums—a simulating dry habitat using pebbles, leaf litter and soil—which customers can bring home as a mere home decoration, or even as a home itself for their crawly pets.